Description: An emoji for the cat lover in your house... 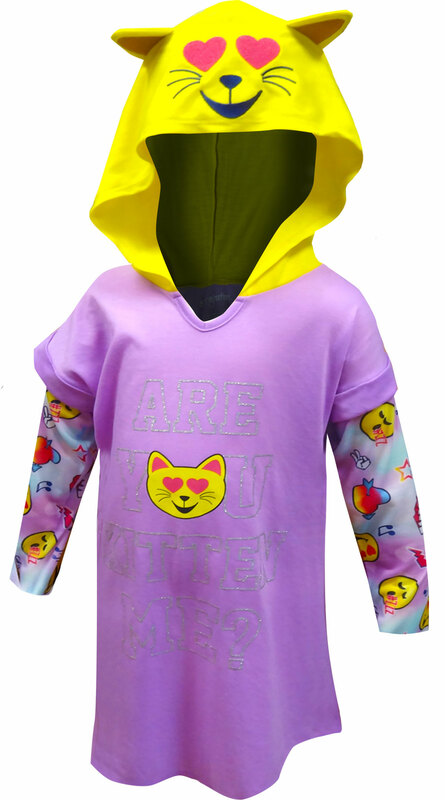 These fun loving nightgowns for girls feature the happy kitty emoji with the message 'Are you kitten me?'. The night shirt has contrast sleeves with an all over emoji print and a hood with embroidered emoji face. This nightie is made of flame resistant fabric to comply with safety standards.